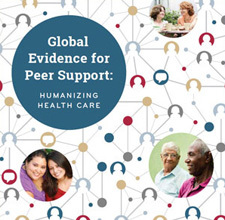 Two strengths of the peer support model are 1) flexibility for adaptation to different communities or settings and 2) modularity, which offers the ability to build peer support on top of existing programs to create more effective, multi-level interventions. In the United States, the Diabetes Prevention Program (DPP) has been adapted to incorporate peer support in a variety of settings and populations. According to the American Diabetes Association website, the DPP has 8 key features, which includes individual case managers or lifestyle coaches, frequent contact, a core curriculum that teaches behavioral self-management, and clinical support.